Trust funds for children are among the most common trusts. Young children who lose a guardian are unable to spend and save money, and young adults may be too immature to manage the money or other property in a trust fund. A trust fund allows you to leave money to your children that is held by another person until the child reaches a certain age, graduates from college or meets other demands itemized in the rules you set forth for the trust fund. Leaving property to children in the form of a trust is one way to ensure the money is spent in the same way you would spend it if you were alive, and is often safer than leaving it directly to your child in your will. Disabled and elderly people may not be able to make good financial decisions, but oftentimes require substantial funds to access health care and other services. If you leave money in the form of a trust, you can ensure that an elderly or disabled relative is cared for in the way you request. The trustee will be responsible for ensuring that medical, housing, caretaker and other bills are paid. A trust fund allows you to choose a trustee who will handle money responsibly and honor your wishes. Many people put family members in charge of trust funds, but this approach has some drawbacks. If, for example, you leave a fund to your sister to care for your child, the sister can use the money on any childcare-related expense unless you have itemized the expenses that are and are not allowable. In many cases, it's better to use an attorney, accountant or professional trustee to administer the funds. For a trust fund to serve its intended purpose, it's important to be as specific as possible when leaving directions for how you want it to be managed. Bear in mind that you cannot plan for every contingency, so it's unwise to, for example, say that your daughter only gets the money in her trust fund if she goes to college. She might go to a technical school, publish a novel or become a professional athlete instead, so think hard before putting absolutes in your instructions. 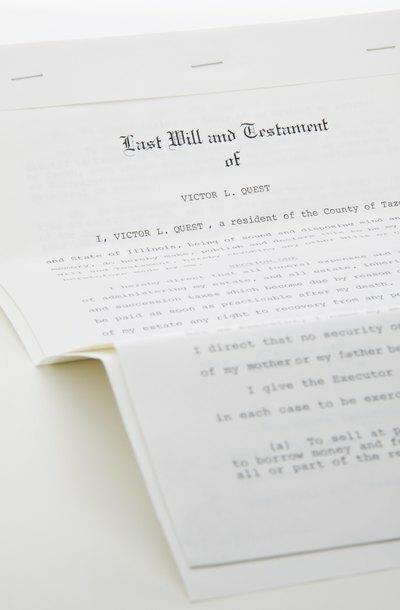 Many parents leave trusts for their children that are released either when the child meets a set of requirements or when the child attains a certain age, gets married or has a child. You should convey to the trustee your desires for the use of the trust so that they can administer it in the way you would if you were alive.